Improving the Workspace Increases Smiles, Quality and Performance. Are you a business owner who strives for the optimal outcome when running your office and achieving goals? 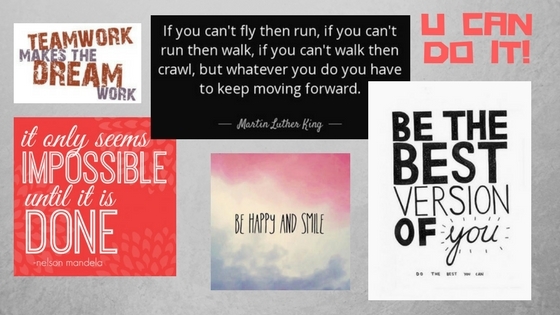 Are you an employee struggling to keep positive thoughts regarding your workspace? 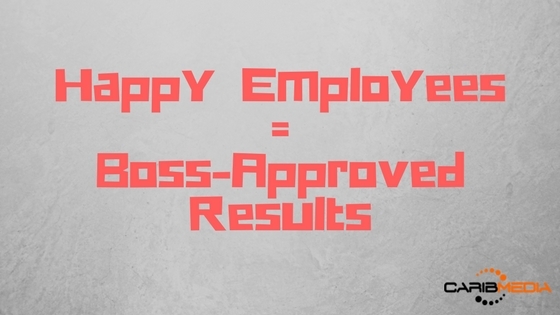 According to various research studies, happiness in the office is undeniably the road to success for all parties: employers, employees, and clients too. It’s no new tale that common sounds in offices consist of super-fast typing of keyboards, and the sighs of overworked employees. Although there are employers out there who take pride in their efforts for improving the work environment, there are also many who are not aware of the impact that this could have on the overall quality of work, as well as the employees’ performance and level of contentment with their job. Costs of high stress include but are not limited to: health problems, negatively impacting performance and productivity, decreasing motivation, and not to mention adding to a push for employees to separate ways with companies. 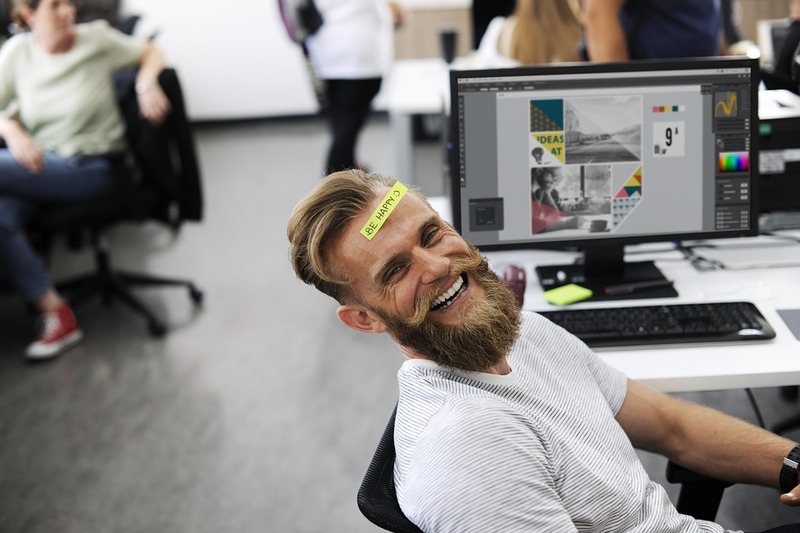 There are various ways to improve the work environment, of which both employers and employees can assist in impacting the office vibe and performance flow. 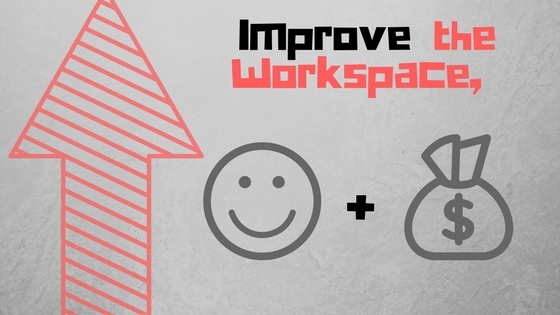 The following are some tips and tricks to improving the workspace of which can potentially enhance the quality of work, the performance of employees, and not-to-mention add some more smiles while tackling tasks. A vision board is supposed to trigger your thoughts to work in your favor, and thus inspire you to keep working in real life towards attaining your set goals. So, think about what you want, or what you tend to struggle the most with, and what the solution for that could be. It could be materialistic things such as products you’d like to buy in the future, or it can be more inspiring for the mind, for example like posting up some motivational quotes to remind you to keep on going! Prepping your desk the day before by tidying up could be your next step closer towards success. We must not forget that we are in fact human beings, and as humans we do not have an infinite supply of energy. It is highly important that we take time to regenerate energy to be our most optimal selves. Besides taking your lunch break, and actually taking a break from your work, it is advisable to make use of your vacation days. Specifically speaking to the workaholics, if you want to get the most out of yourself when it comes to your performance at the office, take those days off to recoup your energy! Now that you’ve got the UPDATE on getting those optimal outcomes you desire, get to it! Don’t hold back on your progress, you’ve got the power to achieve and succeed…! Keep up with the CaribMedia Blog for more business tips!